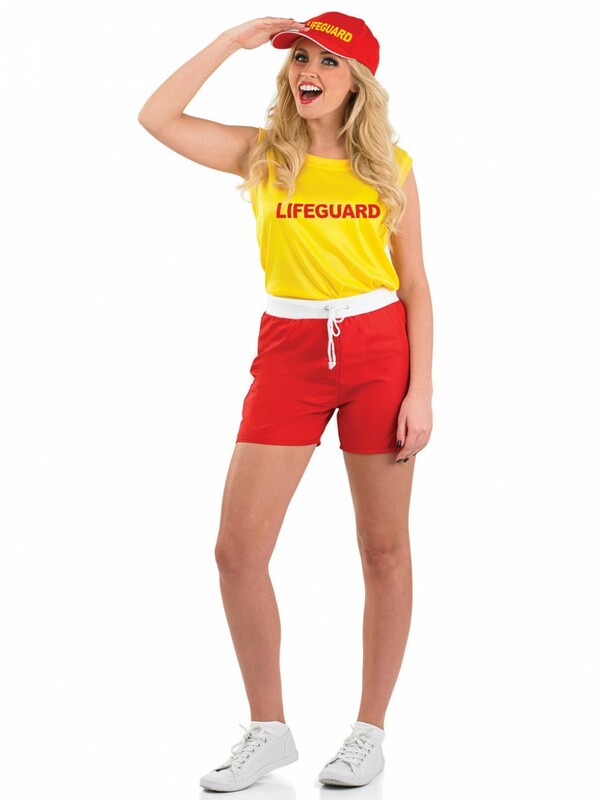 Stand out from the crowd with this colourful Yellow Lifeguard Costume, perfect for Sport/Comedy and Television themes. This outfit includes Shorts, Vest and Cap. This fun Yellow Lifeguard Costume is perfect for any Sport/Television themed fancy dress occasions. Included in the outfit are Shorts, Vest and Cap. 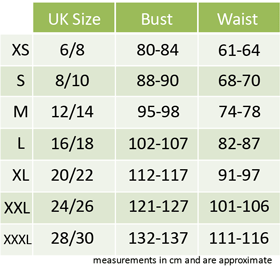 The vibrant orange shorts have an elasticated white waistband and can be adjusted by the toggle front. A short sleeved yellow top with ‘LIFEGUARD’ printed in orange makes this great outfit stand out. Also included is a vibrant orange cap also with ‘LIFEGUARD’ printed on the front, the cap has a rigid peak, so great if you’re out in the sun and want some shade! 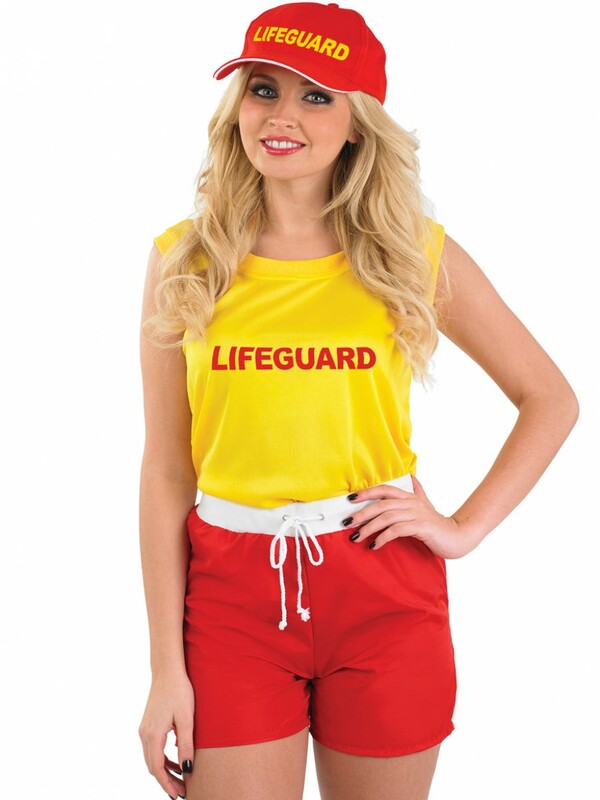 A brilliant Yellow Lifeguard Costume ideal for Television/Sport fancy dress themes, this outfit also works well as a couples costume when partnered with the Men’s Lifeguard (sold separately). Yellow Lifeguard Costume including Shorts, Vest and Cap.